I have just added this new Puppy Love greeting card to my Etsy Shop! 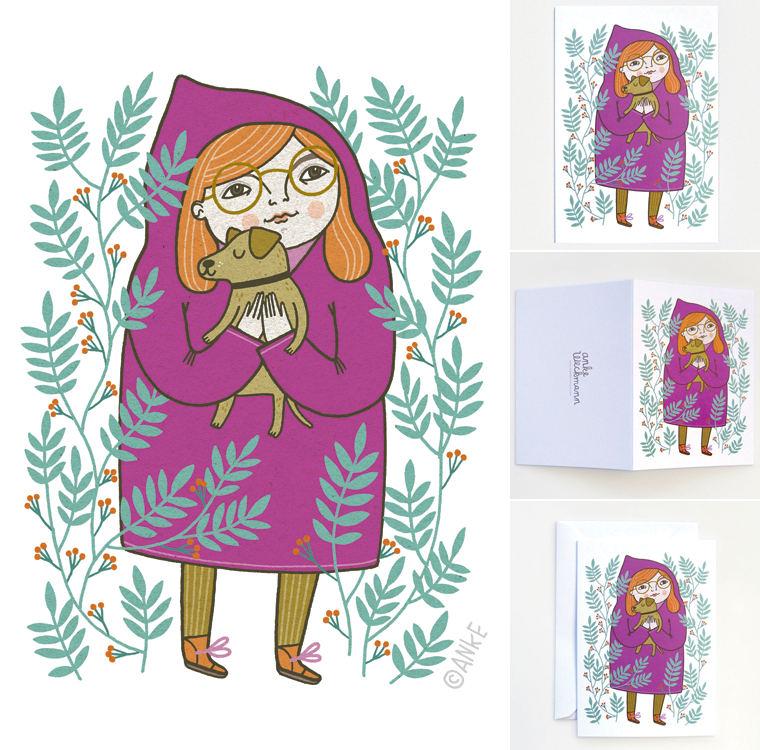 Did you know that I have 42 greeting card designs in my shop for all different occasions? 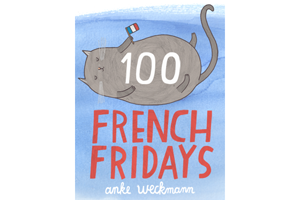 If there's any kind of greeting card you'd like to see, let me know! I'm always interested in new ideas. Have a great weekend! Another thing I've been meaning to tell you about for a while is this black and white postcard collection which is available exclusively at the lovely Petite Louise shop! 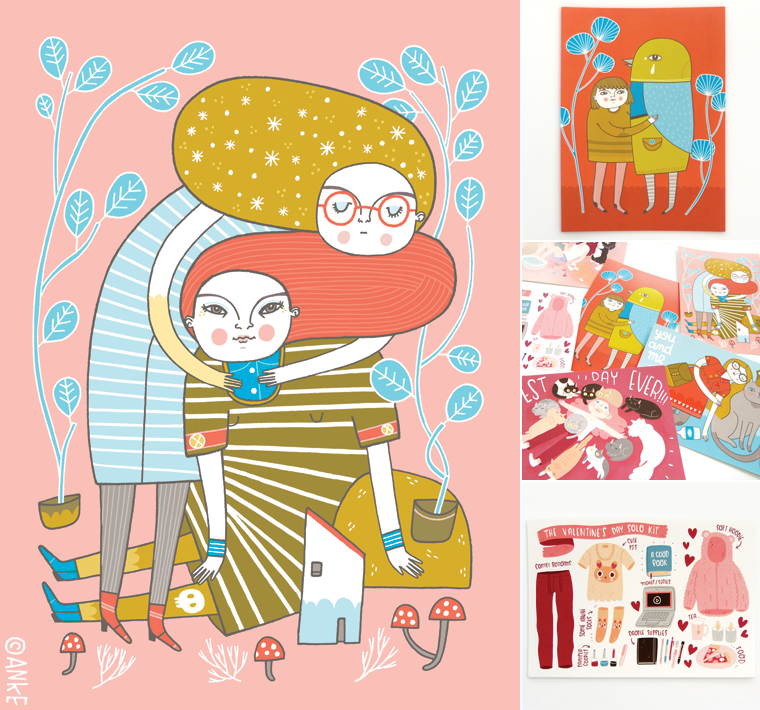 I'm so happy to have my work in Richarda's lovely shop, alongside many of my favourite illustrators. Hurrah! 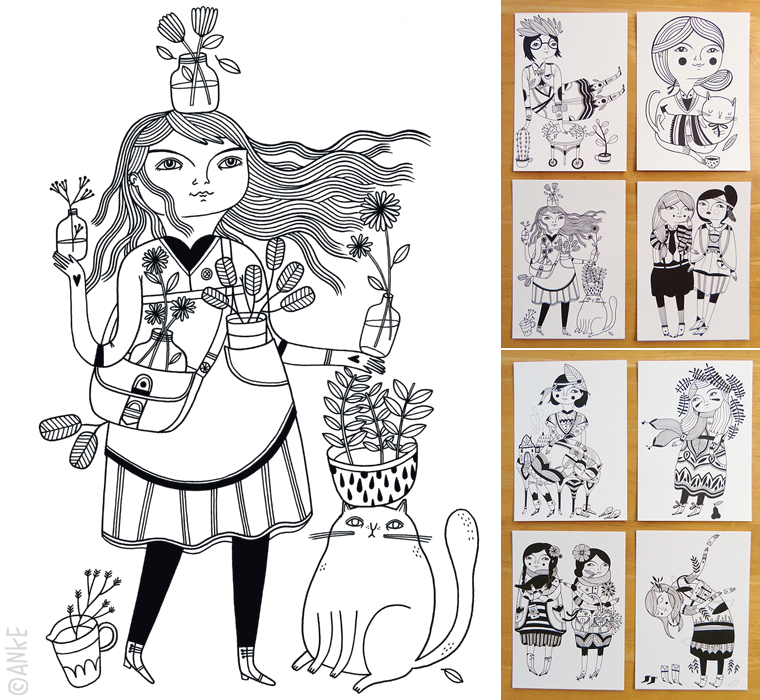 My super illustrator friend Fran and I schemed over tea and cookies and made a limited edition postcard set! It's Love/Friendship themed and there's six different postcards that you can put on your wall or send to all your special friends. It's available here in my Etsy shop. 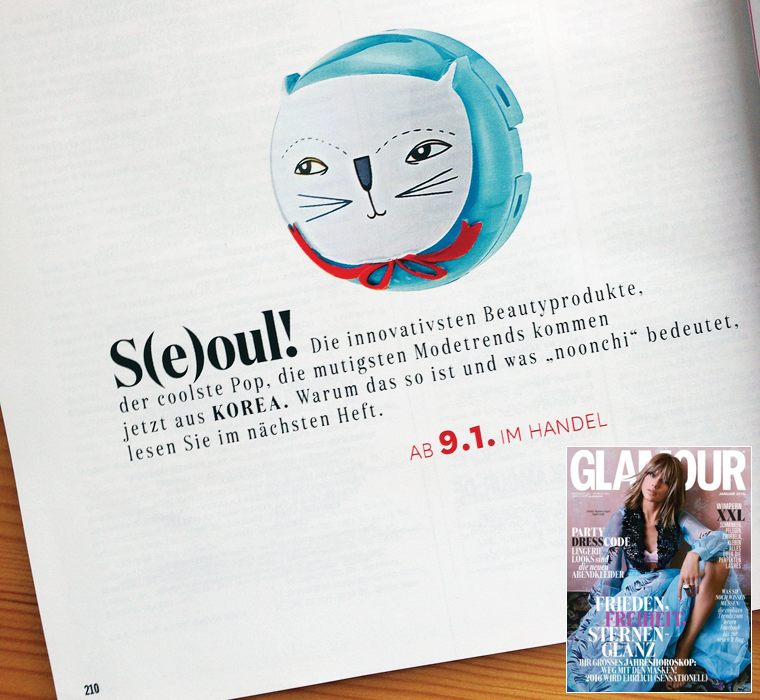 Do you remember Max the cat, the character I illustrated for the Korean beauty brand Too Cool For School? He looked pretty satisfied to have his own page in the January 2016 issue of German Glamour magazine. 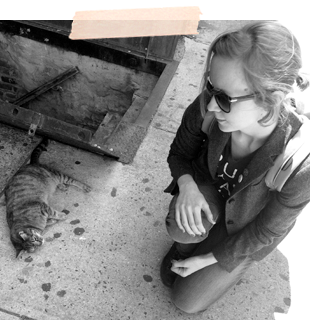 And with a true cat friend on the cover! 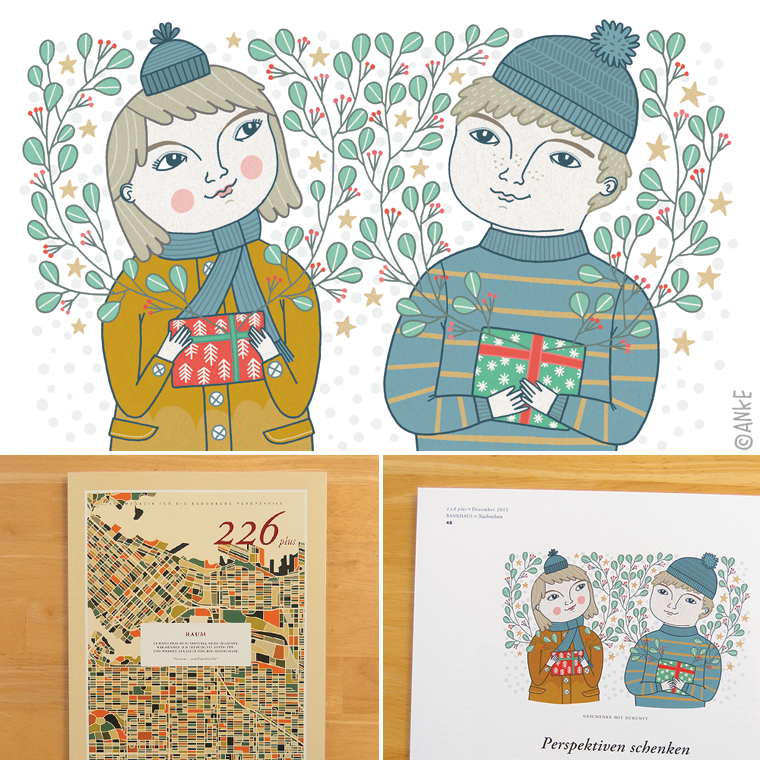 Another festive thing I drew last year - this was for the German 226plus Magazine. 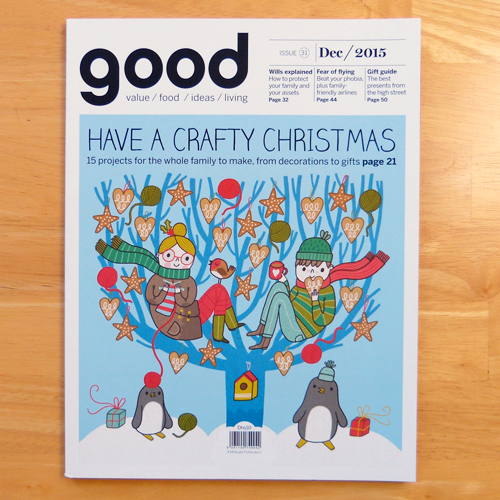 I love drawing Christmassy things so I was excited to be asked to do the December cover of Good Magazine again! The year has started very busy and now that I'm getting around to catching up with this blog. Christmas seems ages ago. Especially with this warm winter we're having - some magnolias have started to blossom and there are daffodils everywhere. But one can always dream of tea and cookies with penguins.